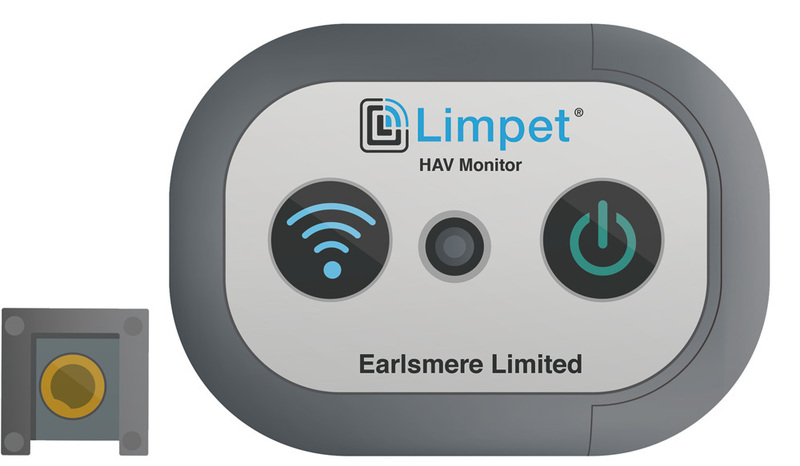 Following two years of extensive market study and technical development, Earlsmere launch the “Limpet”, the latest technology for monitoring HAVs. Limpet works using the latest “Bluetooth” technology, powered by a replaceable coin cell battery, giving up to 2 years of use. It requires no “multi part accessories” such as docking stations, chargers, cables or hosting service . Limpet is a personal “vibration monitoring device” fitted to a tool by the operator. Each Limpet holder is RFID enabled which also allows for full asset control without additional costs. Vibration levels are recorded on the Limpet and are displayed to the operator by way of LED Traffic Light. Limpet will store and transmit the recorded data back to a host system via WIFI. To complement the Limpet, Earlsmere has launched its own rugged RFID reader enabled 5” mobile device which allows for programming and communication with the Limpet. Limpet is designed to work with Earlsmere’s “Toolminder” software for total asset tracking and control, report generation and service scheduling.